The March of Return is a scream for life so that we may leave the walls of our prison. These are the words repeated by Ahmed Abu Artema in his many lectures and interviews. Abu Artema is the brain behind the most powerful expression of unarmed Palestinian resistance, The March of Return, which began on March 30, 2018, and has become a weekly occurrence in the Gaza Strip for close to a year. Israeli forces shot and killed four young Palestinian men over the course of 24 hours between Tuesday and Wednesday in the occupied West Bank. On Tuesday evening, around 7:00 pm, Israeli forces raided the Ramallah-area Abwein village in the central West Bank, in search of 19-year-old Omar Abu Laila, who was believed to be responsible for an attack over the weekend that left one Israeli soldier and a settler dead. After besieging the village and surrounding the house where Abu Laila had been hiding, Israeli forces engaged in a lengthy shootout, eventually shooting and killing the teenager. Local media reported that several local youth from Abwein were injured with live ammunition in clashes with Israeli forces during their operation in the town. As of Thursday, Abu Laila’s body had yet to be returned to his family. US Secretary of State Mike Pompeo issued a stark warning to Israel on Thursday that the close security ties between the two nations could be reduced over Israel’s growing cooperation with China. Pompeo’s warnings came on the same day that the US made an unprecedented show of support for Israel, effectively recognizing its hold on the Golan Heights and having the top US diplomat make a symbolic visit to the Western Wall accompanied by Prime Minister Benjamin Netanyahu. Several Democratic presidential candidates will skip the American Israel Public Affairs Committee's policy conference this year after a prominent progressive group called on them to boycott the event. Sens. Elizabeth Warren, D-Mass., Kamala Harris, D-Calif., and Bernie Sanders, I-Vt., will all ditch the conference, the Associated Press reported, and a spokesman for former Rep. Beto O’Rourke, D-Texas, told NBC News that he also will not attend. Pete Buttigieg, the mayor of South Bend, Indiana, will not be going, The Jewish Week reported, and former Secretary of Housing and Urban Development Julian Castro also won't show, according to HuffPost. Former Starbucks CEO Howard Schultz, who is considering running for president as an independent, will also skip the conference, the Associated Press reported. For many years, US corporate media have consistently failed to adequately inform audiences about the Palestinian right of return. Even though the refugees are a crucial reason that the issue of Israel/Palestine remains unresolved, only a small portion of the coverage addresses the right of return. I used the media aggregator Factiva to search the databases of three major US newspapers: the New York Times, Wall Street Journal and Washington Post. In a combined search of these three publications, Factiva returns results for 45,285 pieces that mention the Palestinian issue over the last ten years. Of these, only 624 contain the phrase “right of return.” In other words, since March 2009 these outlets have published 44,661 articles that bring up the Palestinian question while omitting a phrase that is absolutely integral to it, and one of the main reasons that it remains unresolved. At least seven Palestinians were injured on Thursday night by Israeli artillery shelling on Rafah town in southern Gaza Strip, medics said. Ashraf al-Qedra, spokesman of the Health Ministry in Gaza, told reporters that seven Palestinians were moderately injured by the shrapnel of the shells fired by Israeli troops stationed on the border between eastern Gaza Strip and Israel. Palestinian security officials also said that the Israeli artillery shelling targeted a military lookout post east of the town, destroying the post and wounding seven Palestinians. An Israeli army spokesman said in a press statement that the artillery shelling was a response to the releasing of arson balloons carrying explosives that exploded in southern Israel. No injuries were reported. When Dr. Nadav Granat read the Instagram post of Israeli model Rotem Sela in which she reminded the country that “Arabs are also human beings,” he decided he wanted to take action, too. As a religious Jewish doctor who works alongside Arabs every day, he launched his own online campaign to show the inclusive face of Israel. Israel said on Thursday a U.N. report critical of its use of lethal force during Palestinian protests on the Gaza border was biased and should have included a demand that the enclave’s dominant Hamas group take action to stop anti-Israeli violence. A U.N. Commission of Inquiry on the demonstrations, which began nearly a year ago, said this week that Israel should investigate the shootings of more than 6,000 people, far beyond the criminal inquiries it has announced into 11 killings. Isra’a Hammad Abu Sneineh was detained at the Abu Al-Rish military checkpoint near the Ibrahimi Mosque in Hebron. According to the Palestinian Prisoners’ Centre (PPC), Israel had arrested more than 500 Palestinians, including women and children, as a result of their social media posts by May last year. The occupation state uses its “Cyber Unit” to monitor Palestinian social media posts, the centre added. Britain’s first Member of Parliament of Palestinian descent is preparing for a historic debate on Friday to have the government give official recognition to the state of Palestine in what she says is probably the “most personal and poignant” piece of legislation she has submitted since arriving in Westminster. Rising political star Layla Moran, a Liberal Democrat, sent shock waves through the ranks of the Conservative Party when she overturned a 10,000 majority at the 2017 General Election to take Oxford West and Abingdon which was previously regarded as a safe Tory seat. Now she’s making more waves with the second reading of her Private Members Bill this week to have Palestine recognised by Britain as a state. An Israeli group which promotes “separation” from the Palestinians has been slammed for publishing a series of “racist” videos, warning against the annexation of the occupied West Bank. Writing in Local Call, Meron Rapoport took to task a series of election-related clips released by The Commanders for Israel’s Security (CIS), a so-called non-partisan group of former army commanders and intelligence officials. According to Rapoport, the videos “can be defined in no other way but racist”. One of the most influential donors to the powerful AIPAC pro-Israel lobby group will not be speaking at its annual conference this weekend after being taken to task for sending out a string of hate-filled tweets aimed at two of America’s rising Muslim politicians, Ilhan Omar and Rashida Tlaib. This is not the first time arch-Zionist Adam Milstein has been caught out and reprimanded for hate-tweeting. In 2017, he was forced to apologise for tweeting an anti-semitic graphic targeting liberal Jewish philanthropist George Soros. The image served to fuel speculation about a growing affinity between the anti-Semitic far right and Israel’s staunchest backers. Journalist Max Blumenthal exposed the offensive Milstein tweet, which depicted the face of Soros superimposed on an octopus straddling the globe. Turkey’s foreign minister on Thursday slammed US President Donald Trump’s tweet on the occupied Golan Heights, Anadolu reports. “The territorial integrity of states is the most fundamental principle of international law,” said Mevlut Cavusoglu in a tweet. Israeli occupation forces raided a French government-linked cultural centre in East Jerusalem to shut down a Mother’s Day event, reported AFP. “In a rare move”, Israeli forces actually entered the French foreign ministry-associated centre, a source “with the French consulate” told AFP. Israel considers any PA activity in occupied East Jerusalem, or events supported by the PA, to be illegal and a challenge to its sovereignty claim in the illegally-annexed part of the city. “The consulate could not confirm if the association was indeed financed by the PA, but Palestinians who were to participate in the event said the allegation was false,” AFP added. Jordanian King Abdullah II has reaffirmed the country’s position regarding the occupied city of Jerusalem saying “Jerusalem is a red line” for him and that the Jordanian people fully stand with him on this issue. King Abdullah said during a meeting with dignitaries from the Jordanian province of Zarqa: “I am not going to change my position regarding Jerusalem, the Jordanians’ position regarding Jerusalem is clear and we in the Hashemite Kingdom of Jordan have a historic duty towards Jerusalem and the holy sites there. Jerusalem is a red line, and my people stand with me,” he said. An Israeli military analyst has urged the army to “adapt” to recent Palestinian resistance operations in the occupied West Bank, accusing forces of a “soft” response to recent events. Amos Harel, writing in Haaretz, described the West Bank as in a state of “turmoil”, noting the killing of a soldier and settler last Sunday in a combined stabbing and shooting near the illegal Ariel settlement. According to Harel, “this was a case of a mistaken shooting”. On 14 March, scores of Palestinians in the starving Gaza Strip took to the streets in several cities carrying the slogan “We Want to Live”, calling for “equality, dignity, food and job opportunities.” That day passed quietly, but the interior ministry in Gaza warned the protesters not to take to the streets again because Hamas, the Palestinian movement which has been ruling Gaza since 2007, “has been doing its best to afford these just demands.” However, they took to the streets the next day in larger numbers, but they were violent as they burnt tyres and insulted and threw stones at policemen, prompting violent responses. On 4 March, the newly formed Israeli Blue and White party’s leaders, Gabi Ashkenazi, Yair Lapid, Benny Gantz and Moshe Ya’alon, declared that Israel will not pull out from the occupied Golan Heights. Gantz, the party head, said they would increase settlements and double the population. Their reason; they will not hand the area over to Bashar Al-Assad, a brutal dictator who massacre his own people. The West Bank and Golan Heights are, on paper, occupied territories, but on the ground the status quo has long been change with US approval and EU silence, contrary to UN resolutions. Boys and young men are seized in the dead of night, blindfolded and cuffed, abused and manipulated to confess to crimes they didn’t commit. Every year Israel arrests almost 1,000 Palestinian youngsters, some of them not yet 13. Israeli warplanes launch dozens of airstrikes on the Gaza Strip for five hours. Two million Palestinians have become victims of collective punishment policy amid a tide of incitement at political and military echelons in Israel. Four Palestinian civilians, including 2 women and a child, were wounded, in addition to damaging a wedding hall, an office belonging to the Ministry of Detainees and Ex-Detainees Affairs. Moreover, several houses sustained material damage. Three Palestinian civilians were killed and 12 others were wounded in different incidents in the West Bank. Israeli forces continued to use excessive force against peaceful protestors in the Gaza Strip. Three American women were violently assaulted by Israeli occupation forces as they attempted to help a disabled woman at Al-Aqsa Mosque on Tuesday, despite showing soldiers their passports. Virginia nursing student Nour Hawash, who is in Jerusalem on vacation, was taking photos with her mother and sister after midday prayers when Israeli occupation soldiers stormed the compound and started to evacuate the Dome of the Rock. “Suddenly we heard these shots being fired and people just started running all over the place. We saw the IDF [Israeli soldiers], guns pointed, running, trying to chase people. So we just ran with everyone else to the side,” Nour said. The Golan Heights has officially been recognised as part of Syria since the country acquired independence in 1944. Despite numerous wars, claims and counter-claims, the international community continues to regard the scenic, resource-rich region as part of Syria. However on Thursday US President Donald Trump attempted to change that, by tweeting that Washington should "fully recognize Israel’s Sovereignty over the Golan Heights". Formally recognising Israel's annexation of the Golan would mark a break in decades of US foreign policy and fly in the face of international consensus. Israel’s three largest banks — Hapoalim Bank, Leumi Bank and Mizrahi Tefahot Bank — have all been ordered to pay record fines, which collectively are set to total over $1 billion, to the U.S. government after the banks were found to have actively colluded with thousands of wealthy Americans in massive tax-evasion schemes. The scandal, though it has been reported on in Israeli media, has garnered little attention in the United States. The media black-out has been so surprising it was even directly mentioned by the Times of Israel, given that similar revelations about other banks and offshore tax-evasion schemes — such as those contained within the Panama Papers — led to global protests and even the resignations of some world leaders. Syria’s permanent representative to the UN in Geneva Hussam el-Din Ala warned on Wednesday against the Israeli malicious attempts to exploit the situation and the latest developments in Syria and the region to consolidate the occupation of Golan in a flagrant violation of UNSC resolutions, particularly resolution No.497 for 1981. The Syrian permanent mission at the UN in Geneva, in cooperation with the Arab Lawyers Union, organized a symposium under the title “the occupied Syrian Golan… 52 years of Israeli occupation, on the sidelines of the 40th session of the Human rights Council. Ambassador Ala stressed the importance of this symposium in uncovering the Israeli violations in Golan, synchronizing with the US pressures practiced on member states at the Human Rights Council to cancel the 7th item of the agenda dedicated for observing the Israeli violations in the occupied Arab lands. A Palestinian peace activist was denied entry to the United States and deported, despite having a valid visa. Osama Iliwat, 42, was questioned over the course of eight hours by officials from Customs and Border Protection at John F. Kennedy Airport in New York City on Feb. 24 before he was sent on a flight back home. He was embarking on a speaking tour for Combatants for Peace, a group of Israelis and Palestinians who, according to its website, “have taken an active part in the cycle of violence; Israelis as soldiers in the Israeli army and Palestinians as part of the violent struggle for Palestinian freedom,” but now advocate joint nonviolent activism. In a tweet, MoveOn members decided to call on Democratic presidential candidates to boycott AIPAC's conference after over 74 percent of its members expressed support for the move in an online survey. MoveOn, a progressive advocacy group with millions of members, is calling on Democratic presidential candidates to boycott the pro-Israel American Israel Public Affairs Committee (AIPAC) annual conference. "It's no secret that AIPAC has worked to hinder diplomatic efforts like the Iran deal, is undermining Palestinian self-determination, and inviting figures actively involved in human rights violations to its stage," Iram Ali, campaign director at MoveOn Political Action, said in a statement. The UK is set to oppose all resolutions brought to the UN Human Rights Council that condemn Israeli abuses in the occupied Palestinian territories. UK Foreign Secretary Jeremy Hunt told the Jewish Chronicle that resolutions brought to the UNHRC had a "disproportionate and discriminatory" focus on Israel. 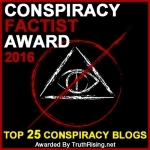 There is no doubt that the 9/11 false flag (now even admitted (by direct implication) by NIST!) was a watershed, a seminal event in our history. While millions (or even billions) watched in horror as the twin towers burned, a small group of Mossad agents stood nearby and danced in overwhelming joy. Why exactly were these Israelis dancing? Surely there was more than just Schadenfreude in this spontaneous expression of euphoria? Considering that these three dancing Israelis were just the tip of a much bigger iceberg, we can rest assured that there were many more folks dancing in joy that day, especially in Israel. Where else can U see this TERRORISM? Will Madonna play Eurovision in Tel Aviv? Israeli media are reporting that Madonna will perform at the Eurovision Song Contest in May, but the superstar’s appearance is encountering obstacles. One of the songs Madonna reportedly wants to perform in Tel Aviv was opposed by Eurovision officials, according to Israel’s Ynet. The content of the song is unclear. The director of Kan, the Israeli public broadcaster that is producing the event in Tel Aviv, called on Eurovision organizers not to interfere in Madonna’s artistic decisions. Madonna is reportedly asking for more than $1 million for her performance. "The Golan is a territory occupied by Israel since 1967. France does not recognise the Israeli annexation of 1981," the Fench Foreign Ministry said in a daily briefing, adding that UN Security Council resolutions had recognised the annexation as illegal. On Thursday, US President Donald Trump tweeted that 52 years on, it is time for his country “to fully recognise Israel's sovereignty over the Golan Heights”. The Syrian Foreign Ministry has condemned US President Trump’s comments on the Golan Heights as “irresponsible”, adding that the Syrian people are determined to recover the area through “all available means”, Syrian Arab News Agency (SANA) reports. The Ministry pointed out that Trump's statement "confirms the US’s blind commitment to Israel and support for its aggressive behaviour". "It became clear to the international community that the United States and their reckless policies, which are dominated by arrogance and hegemonic ambitions, are a major factor in exacerbating the situation in the global arena and threaten peace and stability," the Ministry underscored. So much for "regional stability" Donald. Israel’s Foreign Ministry confirmed Thursday night that these four countries would vote “no” on all Agenda Item 7 resolutions to protest the UNHRC’s bias against Israel. Chairman of the Blue and White Party Benny Gantz is heading to the US to attend the AIPAC Conference where he is expected to speak. The United States will soon unveil the details of US President Donald Trump's "deal of the century" that aimed to solve the long-standing conflict between Palestine and Israel, US State Secretary Mike Pompeo said. Pompeo told Al Arabiya broadcaster that Washington wanted a better life for the Palestinians without violence and soon "the whole world will see how America is thinking about this." During his high-profile visit to Israel, Secretary of State Mike Pompeo said President Trump could be a present-day Queen Esther, a figure in Hebrew and Christian biblical stories who is said to have thwarted a plan to exterminate the Jewish people. Pompeo said Mr. Trump's tough stance on Iran gave him the distinction. Must ... not ... puke, ... cannot ... afford ... to ... replace ... keyboard! The Arab League, Russia, Iran and Turkey have strongly warned the US after President Donald Trump declared Thursday that he will recognize Syria's Golan Heights as Israeli territory. The strategic highlands have been under the Israeli occupation since 1967, but Trump's abrupt declaration a day after US Secretary of State Mike Pompeo's visit to Israel brings the dispute to a boiling point. Turkish President Tayyip Erdogan said on Friday Trump's statement has brought the region to the edge of a new crisis. In a speech at a meeting of the Organisation of Islamic Cooperation (OIC) in Istanbul, Erdogan said: "We cannot allow the legitimization of the occupation of the Golan Heights." Iranian Foreign Minister Mohammad Javad Zarif expressed shock at Trump's plan. Fox's Pete Hegseth: Democrats skipping AIPAC convention "are at some level anti-Israel or maybe anti-Semitic"
You describe MoveOn.org as a far-left group. MoveOn.org is now the Democrat Party. I mean, that's where they've become, now they're the soul of the Democrat Party. Just like the Justice Democrats, just like CAIR, just like all these radical groups that have captured the Democratic Party -- that's who they're kowtowing too. And maybe they think it works in a general, I think you're right, it doesn't ultimately work in a general election. AIPAC also is not an extreme right-wing, pro-Israel group. This is the group that plays it down the middle as best they can, trying to create a bipartisan consensus of Republicans and Democrats. If you won't go to AIPAC, you are at some level anti-Israel or maybe anti-Semitic. We have seen the comments. I'm not saying they are. I dropped a jar of kosher pickles, does that make me.................oh never mind. Donald Trump is not kidding when he says “all options” to topple Maduro are open, National Security Adviser John Bolton said, as the Venezuelan government busted wannabe president Juan Guaido’s aide for running a terrorist cell. “President Trump himself has been clear on this point on any number of occasions when he says all options are on the table. I think people need to understand and believe that; he’s very serious about it,” Bolton told Breitbart. Syria and its allies have condemned Donald Trump's declaration that America should recognise Israel's sovereignty over the Golan Heights. The Foreign Ministry in Damascus vowed it would use 'every possible means' to 'liberate' the region and described the US President's statement as a threat to international peace and stability. Trump may be God’s chosen one to save the Jewish people from “the Iranian menace,” Secretary of State Mike Pompeo confirmed in a baffling interview with the Christian Broadcasting Network. He is just another Neocon now! Disgusting! US President Donald Trump has said that the time has come for the United States to "fully recognize" Israel's sovereignty over the disputed Golan Heights, seized from Syria during the Six-Day War in 1967. In a tweet on Thursday, Trump said the Golan Heights are "of critical strategic and security importance to the State of Israel" and to "regional security." His decision will be seen as a diplomatic coup for Israeli Prime Minister Benjamin Netanyahu. Every time Prime Minister Netanyahu uses his "frequent flyer miles" to get to DC, I get nervous, because, most usually, that means yet another misguided military intervention into a country to which the US military was not invited, like Syria, for example; and trust me, the US is not thinking of leaving there anytime soon, be the troop compliment at 400, or 1,000. I don't know if any of our readers saw this on Faux TV, but the lower crawl indicated the Trump had tweeted that the Golan Heights should be considered as Israeli territory, possibly giving Netanyahu a "US-Generated lift" before ISraeli elections, which happen 9 April this year. It was also yet another way to stick a finger in the eye of the Syrian government, the Syrian people, and Bashar Al-Assad, simultaneously, as well. As the Texas Tribune correspondent Patrick Svitek reported, the comments came during an event at Keene State College in New Hampshire, after O’Rourke was asked about rumors that he had taken “pro-Israel lobbyist money” during his failed Senate run in 2018. O’Rourke explained that, in fact, he had taken no money from political action committees in that race — although J Street, a pro-Israel lobbying group that aids candidates who favor a two-state solution and oppose the Boycott, Divestment and Sanctions movement, helped solicit $170,000 in individuals donations to his campaign. Beto, you cannot have it both ways. The banning of four Nation of Islam Black history books by Amazon, the largest bookseller in the world, provides a perfect opportunity to examine the wickedly racist ways Jewish power is wielded in America. Amazon provided no warning, no reason, no hearing, and no opportunity to respond—it was a blatant mockery of Amazon founder Jeffrey Bezos’s own creed, “Democracy Dies in Darkness.” It is, however, perfect proof of what The Most Honorable Elijah Muhammad said: the mental resurrection of Black people will anger our oppressors and cause them to react punitively and viciously. President Donald Trump on Thursday changed decades of Middle East policy with a tweet, announcing that "After 52 years, it is time for the United States to fully recognize Israeli's Sovereignty over the Golan Heights." Trump said the Golan "is of critical strategic and security importance to the State of Israel and Regional Stability!" Actually, this will make the region even more unstable. This is Trump helping Netanyahu win his re-election as well as flipping the bird at Assad. But in the long run, any illusion that the US is any kind of objective arbiter in the Middle East has been erased. The Supreme Court has long held that political boycotts – like boycotts for Palestinian rights – are a form of expression protected by the First Amendment. The government may not condition the receipt of government benefits on the requirement that a person forgo core political speech activity. Nor can the government enact measures that chill our speech rights. Several courts that have considered anti-boycott laws have agreed. In September 2018, a federal court blocked Arizona from enforcing its anti-boycott law, finding that the law likely violates the First Amendment. A federal court also issued a preliminary injunction against Kansas' enforcement of its anti-boycott law. Anyone who’s been watching the recent round of pearl-clutching and political smears directed at Rep. Ilhan Omar might notice that the Congresswoman is under attack for saying things that it seems we all know. That lobbyists use money to influence politicians, that the U.S. has a uniquely intimate relationship with Israel, and that everyday folks are well within their rights to advocate for Palestinian human rights. And yet, she’s under attack from all sides. It’s a frustrating position to be in. At a time when real anti-Jewish rhetoric and violence is growing in the country, we all need to stand up, condemn it, and find ways to protect Jews and other threatened religious groups. There’s no questions of that. But disingenuous accusations of anti-Semitism that are hurled at Palestinians, or at human rights activists cause damage as well. I know this because I’ve been there. Dozens of students in the occupied West Bank city of Ramallah clashed with Israeli forces as they protested the killing of three Palestinians. Students from Birzeit University protested north of Ramallah near an Israeli checkpoint against the army killing of three young Palestinians near Ramallah and in Nablus the night before. Israeli forces fired tear gas and rubber-coated metal bullets at the students, injuring three while suffocating others. MK Jamal Zahalka, the chairman of the Arab-majority Balad party, filed a complaint with the police on Tuesday against MK Oren Hazan (Likud) for incitement to murder. The AIPAC convention is a celebration of the most repressive elements of the Israeli state, featuring those most engaged in curtailing Palestine freedom. This year is no exception and the conference is struggling to mask it’s true nature. In 2016, Bernie Sanders skipped the AIPAC conference and in 2020, Elizabeth Warren has announced she would not attend AIPAC. The tide is turning as more and more progressives distance themselves from Israel’s brutal regime of occupation. Since the election in 2015 of Jeremy Corbyn as Leader of Britain’s Labour Party there has been a crescendo of ‘antisemitism’ talk in the party, and talk of Jeremy Corbyn “not doing enough to combat antisemitism”. There has been constant talk in the mainstream media of a resurgence of antisemitism throughout Britain, with particular attention being focussed on the Labour Party. There were reports of members being targeted for apparently innocuous comments, such as Naz Shah, who was forced to apologise for retweeting a satirical cartoon by Norman Finkelstein about relocating Israel to the United States, and former Lord Mayor of London Ken Livingston, who, in defending her, stated, “When Hitler won his election in 1932 his policy then was that Jews should be moved to Israel. He was supporting Zionism before he went mad and ended up killing six million Jews”. Ken Livingstone was suspended, and in his own defence he asked, “how can the truth be an offence?”. On March 19th, with no advance warning, Israel evacuated a Palestinian school in Shaufat, Occupied East Jerusalem, then demolished it. The school’s principal reports that no official reason has been given. An illegal Israeli colonialist settler rammed, Thursday, a Palestinian man with his car, and fled the scene, before Palestinian medics rushed the wounded man to a hospital, in Hebron city, in the southern part of the occupied West Bank. Aref Jaber, a nonviolent activist with the Human Rights Coalition in Hebron, said the colonist rammed a Palestinian, identified as Jom’a Qfeisha, before fleeing the scene. Jaber added that the wounded man works for the Hebron Reconstruction Committee, and suffered a fracture in his arm, in addition to various cuts and bruises. An Israeli military drone fired, on Wednesday at night, a missile at young Palestinian protesters in the Central District of the Gaza Strip. Eyewitnesses said the drone fire a missile at the young men, east of the al-Boreij refugee camp, and added that the missile detonated close to the protesters but did not lead to casualties. On its part, the Israeli army claimed its missile targeted Palestinians “flying flammable balloons” into nearby Israeli areas. The UN Human Rights Council voted, on March 15, to conduct an investigation into the Israeli army’s killing of peaceful Palestinian protesters along the eastern parts of Gaza, near the Israeli separation fence. Tomorrow, Thursday, March 21, the UN High Commission for Human Rights will vote on the report of the UN investigation committee, which confirmed Israeli violations against the protesters in the besieged Gaza Strip. The development comes just days after US Senator Lindsey Graham told Benjamin Netanyahu that he would push the United States to formally recognise Israel’s sovereignty over the Golan Heights, which were seized from Syria during the 1967 Six-Day War. During a joint press conference with US Secretary of State Mike Pompeo in Jerusalem on Wednesday, Israeli Prime Minister Benjamin Netanyahu took a moment to call on the international community to recognise the Golan Heights as part of Israel. In its annual US State Department report, the section dealing with the Golan Heights reportedly refers to the contested area as “Israeli-controlled”, not “Israeli-occupied”. The change in wording deviates from United Nations resolutions and international norm which use the term “Israeli-occupied” to designate the land Israel annexed from Syria following the 1967 Six Day War. Two Palestinians in the United States are suing Israeli settlers for profiting from property stolen from their families in the occupied West Bank, by listing them on the home rental website Airbnb. The lawsuit is in the form of a counterclaim against the settlers, who themselves filed a lawsuit against Airbnb over its decision last year to remove listings of settlement properties. The two Palestinians, Ziad Alwan and Randa Wahbe, are being joined in their lawsuit by two towns in the occupied West Bank, the municipality of Anata, east of Jerusalem, and the village council of Jalud, near Nablus. They are being represented by the Center for Constitutional Rights, which filed the counterclaim in federal court in Delaware on Monday. Israeli forces killed four Palestinians in the occupied West Bank overnight Tuesday and on Wednesday. The slain men include a Palestinian suspected by Israel of fatally injuring a soldier and a settler, and two young men who Israel claims threw an explosive device at soldiers guarding hundreds of settlers who had raided Joseph’s Tomb in the northern West Bank city of Nablus. Local eyewitnesses contradicted the Israeli account of the killings in Nablus and said the car in which the two young men were traveling was fired on and then pushed by a bulldozer with them inside. The Trump Administration has delivered yet another concession to Israel’s embattled Prime Minister Benjamin Netanyahu on the eve of parliamentary elections: the Israeli military occupation of much of the Palestinian West Bank and of the Golan Heights will no longer be referred to in official U.S. government documents as an occupation. America’s so-called Ambassador to Israel is a former Trump lawyer named David Friedman who is more involved in serving Israel than the United States. He personally supports the view that the illegal Jewish settlements are legitimately part of Israel, choosing to ignore their growth even though it has long been U.S. policy to oppose them. He has also long sought to change the State Department’s language on the Israeli control of the West Bank and Golan Heights, being particularly concerned about the expression “occupied,” which has legal implications. Now he appears to have won that fight, to the delight of the Netanyahu government. 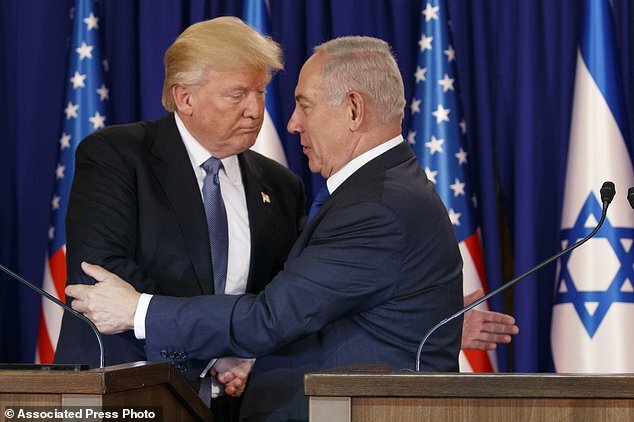 Investigative journalist Vicky Ward, who wrote a new tell-all book, Kushner Inc., has been effusive about US President Donald Trump’s now-special relationship with Israeli Prime Minister Benjamin Netanyahu, saying that POTUS was initially “reluctant” to meet Bibi. “He and Bibi had a history. Two alpha males. Trump had thought Bibi didn’t treat him with respect”, Ward cited Steve Bannon, former White House chief strategist, as saying. The two wound up meeting in autumn 2016, when Netanyahu arrived in New York for the UN General Assembly and met with both Trump and his Democratic rival Hillary Clinton. A UN fact-finding mission says Israeli forces committed rights violations during their crackdown against Palestinian protesters in the Gaza Strip last year that may amount to “war crimes,” urging the regime’s military to prevent its snipers from using lethal force against the demonstrators. The UN Independent Commission of Inquiry on the protests in the Occupied Palestinian Territory presented its full report on Monday, saying Israeli forces breached international human rights by using live ammunition against unarmed Palestinian protesters during the anti-Israel protests in Gaza. As she pushes to out Ilhan Omar, a Somalian-American, Muslim woman, on the basis of pseudo “anti-semitism,” Nancy Pelosi will speak at AIPAC 2019. She might as well have dollar signs with the label AIPAC on her pantsuit. She also might as well have placed targets of anti-Muslim bigotry on Ilhan’s back. Actions people. Actions. The UN special rapporteur on Human Rights in the Palestinian territories says Israel deprives the Palestinians of clean water. In a report, Michael Lynk, has described as an act of pillage, Israel’s control over Palestinian water resources. UN war crimes investigators yesterday called on Israel to stop its snipers using lethal force against protesters in the Gaza Strip, as the anniversary approached of the start of demonstrations there, Reuters reported. Well, not exactly like that, but in a way, yes. Now, finally, ‘the gloves are off’. The US is openly threatening the historically timid ICC (International Criminal Court) and its judges. And unexpectedly, the ICC is hitting back. It refuses to shut up, to kneel, and to beg for mercy. The United States will withdraw or deny visas to any International Criminal Court personnel investigating possible war crimes by U.S. forces or allies in Afghanistan, Secretary of State Mike Pompeo said on Friday. The court, which sits in The Hague, responded that it was an independent and impartial institution and would continue to do its work “undeterred” by Washington’s actions. In a new report (Word file) issued Monday by the UN Human Rights Council, officials condemned a number of Israel’s ongoing policies in the occupied Palestinian territories, including Israel’s exploitation of Palestinian natural resources and its impacts on the environment, and the catastrophic effects the 12-year siege has had on the Gaza Strip. In what could amount to several human rights violations, Israel has overseen the degradation of the Palestinian water supply, the exploitation of Palestinian natural resources, and the defacing of their environment. I am not dual loyal. I always put America first, but I want to see Israel thrive – just like many Irish-Americans, Italian-Americans, and Indian-Americans and others feel about their ancestral homelands. Don’t know how to break it to you, Tom, but Israel isn’t your ancestral homeland. You were born in Minnesota in 1953. Your parents also lived in the US. Wherever your grandparents came from, it wasn’t Israel, since it didn’t exist at the time. Bernie Sanders is officially running against Israeli apartheid! Yesterday Sanders posted an ad on his Facebook page featuring excerpts from activist Shaun King’s introduction of the Vermont senator at his Brooklyn College campaign launch March 2. King embraced the label that Donald Trump has given Sanders, of being crazy. Listen, he has always rejected the status quo. He spoke out against apartheid in South Africa when crazily that was an unpopular thing to do. And even today he speaks out against apartheid-like conditions in Palestine even though it’s not popular. Listen, I don’t care if 45 calls him Crazy Bernie because he is a little crazy. On the morning of Monday February 25, Roman Levin, 19, walked to the gates of an Israeli army base where he served as a truck driver. As he approached the military transport camp north of Jerusalem, built on the lands of a Palestinian village (Beit Nabalah) destroyed in the 1948 war, he was accompanied by activists from organizations that support soldiers who refuse to serve because of political objections to Israel’s occupation, Mesarvot and Yesh Gvul. Roman then informed his commanding officer that he was refusing to continue his military service because he did not want to be a part of “the preservation of the occupation” and the “oppression of Palestinians.” Hours later he was subjected to an “instant trial,” lasting about five minutes and sentenced to 30 days in an army detention facility, Prison Six in northern Israel. Israeli Minister of Construction and Housing Yoav Galant along with Mayor of Ariel Eli Shaviro yesterday laid the cornerstone of new a settlement project comprising 839 settlement units in the illegal settlement, Arab48 reported. The new project is expected to attract hundreds of young settler families to the second largest Israeli settlement in the occupied West Bank. According to Arab48, the project includes new malls, education facilities, parks and attraction sites serving the new illegal Jewish community. Shapiro said that this settlement project came in response to the killing of an Israeli soldier and a settler near the illegal settlement, which is built on the occupied land of the Palestinian city of Salfit. In the position paper, B’Tselem explains why announcing investigations is a standard ploy that Israel employs to ease international pressure whenever its unlawful policy elicits criticism. Israeli bulldozers, today, demolished an under-construction building belonging to a Palestinian school in the Shu’fat refugee camp of occupied East Jerusalem, on Tuesday. Dozens of Israeli soldiers escorted bulldozers into the refugee camp, surrounded the al-Razi School and went up rooftops of nearby buildings as drones flew overhead; Israeli bulldozers then began to demolish the school’s building. Israeli forces fired rubber-coated steel bullets towards locals in the refugee camp. Israel on Tuesday asked 26 countries for support against a UN vote that singles out its violation of international human rights and humanitarian law in the occupied Gaza Strip, according to local media, Anadolu reports. Foreign Minister Yisrael Katz wrote in a letter to the countries not to vote in favour of Israel’s alleged violations against Palestinian demonstrators that could be covered by war crimes and crimes against humanity at the UN Human Rights Council. He said a UN report ignored Hamas’ rockets and lacked understanding of security concerns of Israel. The UN Independent Commission of Inquiry on the Protests in the Occupied Palestinian Territory said Monday that Israeli Security Forces violated international human rights and humanitarian law in Palestine’s occupied Gaza Strip. Nightmare neighbours: What if a religious settler project took over Britain? Imagine a situation in which an extremist British government introduces a law which determines that only British Christians have a right to self-determination in the country, and that settlements built only for Christians should be encouraged. At a stroke, non-Christian Brits are explicitly turned into second-class citizens. Communities with majority Christian populations set up “admissions committees”, to which those wishing to move need to apply for admission, which can be refused. Sound bizarre? Read on. One morning, you wake up and look out your window, only to find that a group of strangers have forced their way into your back garden, cordoned part of it off and started digging. You challenge them, and they tell you that this is Christian Britain, and as Christian Brits, they can build anywhere because “the land is theirs”. There are currently 1 user and 1682 guests online.